The Battery Saver 1200-LCD 6 & 12 Volt 12 Watt PULSE Maintainer & Tester offers our most versatile built-in digital battery tester that displays the battery's voltage, amp output and battery charge percentage bar. It combines our integrated micro-processor, automatic maintaining, automatic PULSE desulfator, modular cabling system and Battery Rescue™, which in some cases can charge back to life a completely dead battery. 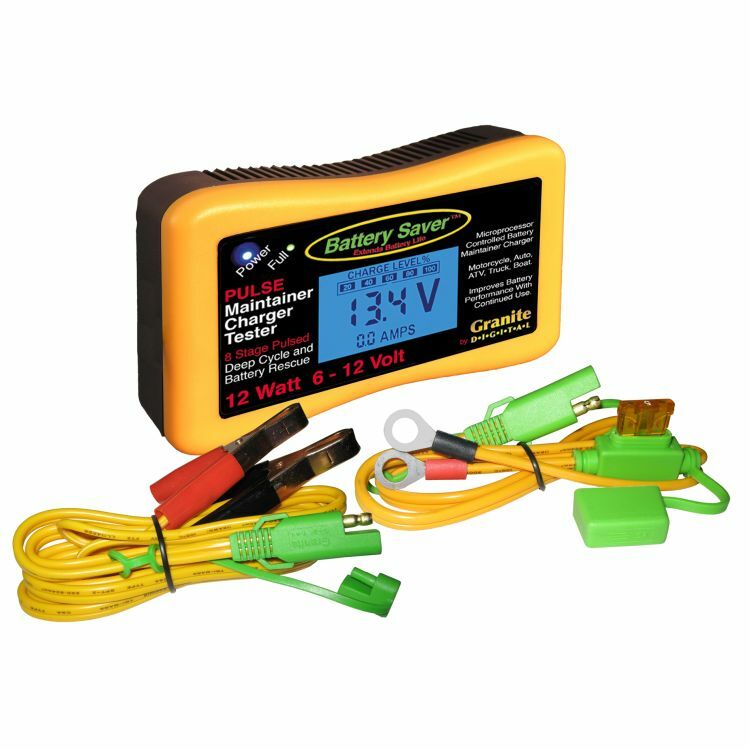 The benefit of the 12 Watt model is the ability to economical design, it is capable of charging a single battery of any size. This is perfect for Motorcycles, ATVs, Jet Skis or cars. 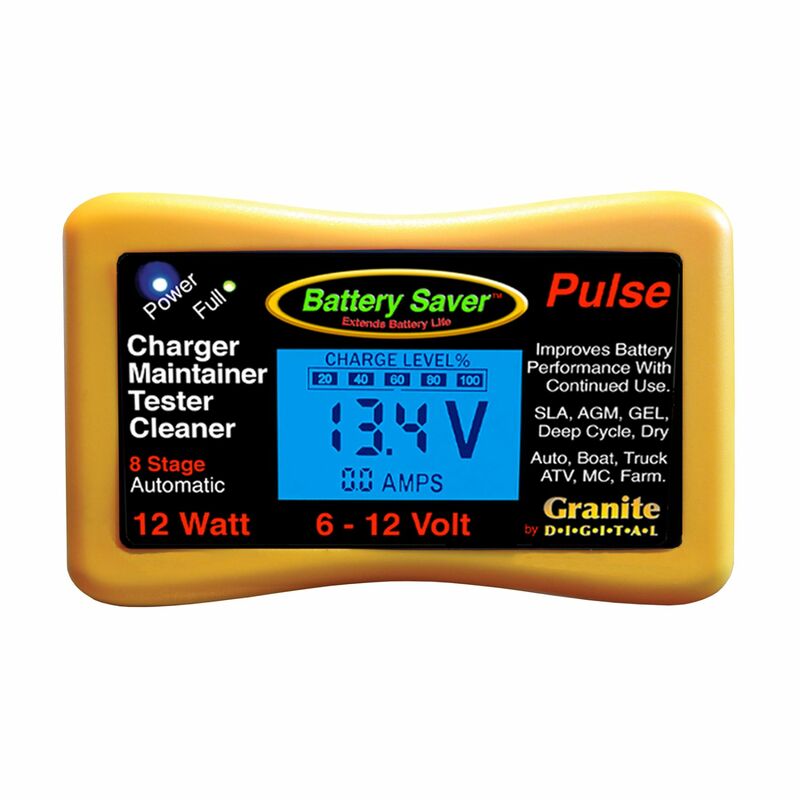 The advanced computer control will monitor to make sure that no matter the size of the battery, it will be charged safely and efficiently. The modular cabling system is unique to our chargers and maintainers and allows our units to run longer lengths than any other device on the market. Do you own the 1200-LCD? Please, tell us what you think about it. It helps us provide you with better products. Please note that it may take up to 72 hours for your review to appear.